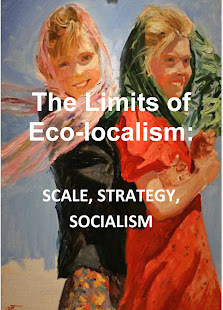 These are some central points of discussion on what is usually called ecological socialism, or as some prefer eco-socialism: to radically change economic rationality, to approach the concerns of economics as part of the need to liberate man, to create a new environment for the life of every human being without the usual division that giving privileges to some at the expense of many and recognize definitely the existence of limits to growth. 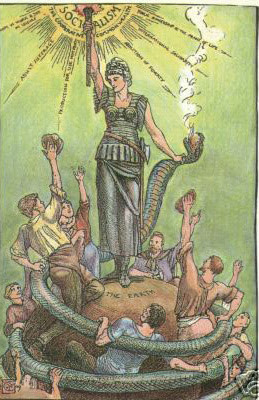 Socialism, yes, is in the direction of elevating the social and political bonds that relate, first, to Mother Earth. Socialism moves in the direction of giving true criticism to a "god-capitalism" which states as its basic idea that the market, the sacred altar of money, can do anything. This socialism, defended here, is put in a position contrary to that premise, believing that the market is unable to solve everything and that the world cannot live only for consumption and more consumption, as the "god-capitalism" always wanted and wants to be so. The great socialist Upton Sinclair left his literary legacy in the muckraking book The Jungle. However, most readers forgot Sinclair’s other masterpiece until the recent film adaptation, There Will Be Blood, shed light on this engrossing saga of greed, corruption and the love between father and son. Oil! follows the patterns of Sinclair’s previous work, uncovering the injustices of American society. Sinclair uses the sharp and curious observations of Bunny Ross, son of the successful oilman J. Arnold Ross, to unfold the complexities and hypocrisies of the booming oil industry in the 1920s to 1940s. In this volume published in 1927, Sinclair vividly describes the ambivalence of the 1920s in a style rivalling his famous 1920’s contemporary F. Scott Fitzgerald. Sinclair uses all the elements of the Roaring Twenties: driving and cars signalling freedom for youth, extravagant parties for the rich, and the rise of glamour in Hollywood. Set in California, the story captures the feelings and moods of the era. The story slowly evolves to the major issues of the working class and the socialist movement of the 1930s. More importantly, Sinclair evokes major universal issues, particularly the difficult transition from adolescence to adulthood. First love, sexual awakening, and the college experience are all touched upon. As Bunny gains independence and develops his own world view, his relationship with his father experiences a nearly fatal shift. 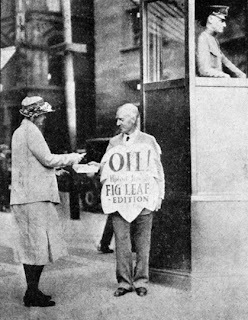 Upton Sinclair selling the "Fig Leaf Edition"
﻿The brilliance of Oil! lies in the flowing narrative of corporate greed alongside the coming-of-age storyline. 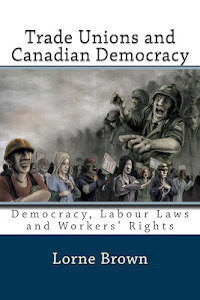 Sinclair writes in his signature muckraking language about unions, strikes and corrupt government officials. The story of Eli Watkins, the ambitious evangelist as seen in the film, provides added entertainment regarding the hypocrisy of organized religion. The Watkins family become the heroes of social justice with their endless and tragic fight for workers’ rights. Given the economic downturn and energy concerns in recent years, Oil! remains prevalent in society. Those who enjoyed the film adaptation will find a varied storyline to the same issues. Sinclair uses his epic to critique the lack of corporate responsibility within the oil industry, the failure of politicians to protect citizens from economic exploitation, and the need of cohesiveness within the labor movement. 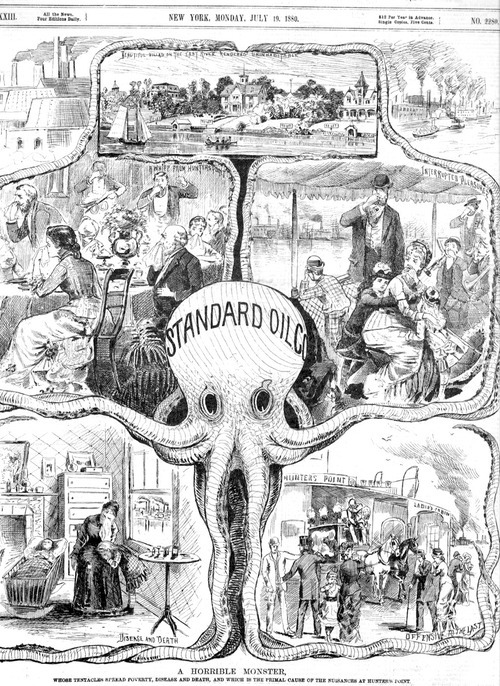 The issues of the past continue to effect the present, and Sinclair’s Oil! adds to the discussion. 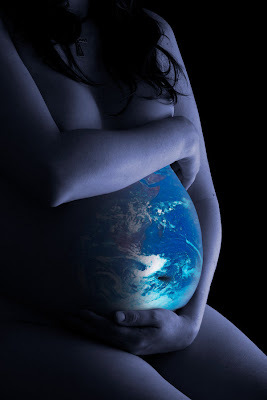 After the Kyoto protocol and the IPCC report, climate change has emerged as a serious issue facing mankind. Climate change and the issues of social justice should be seen in the context of the urgency of the global ecological crisis. Some writers think that the origins of today’s global ecological crises are to be found in the unusual response in Europe’s ruling states, to the great crisis in the 14th century 1290 -1450. There are indeed striking parallels between the world system today, and the situation prevailing in a broadly feudal Europe. At the dawn of the 14th century, the agriculture regime, once capable of remarkable productivity, experienced stagnation. A large population shifted to cities; western trading networks connected far-flung economic centers. Resource extraction like copper and silver, faced new technical challenges, fettering profitability. After some six centuries of sustained expansion, by the 14th century it had become clear that feudal Europe had reached the limits of its development, for reasons related to its environment, its configuration of social power, and the relations between them. What followed was either immediately or eventually the rise of capitalism. Regardless of one’s specific interpretation, it is clear that the centuries after 1450 marked an era of fundamental environmental transformation. It was to be commodity-centered and exclusive, it was also an unstable and uneven, dynamic combination of seigniorial capitalist and peasant economics. 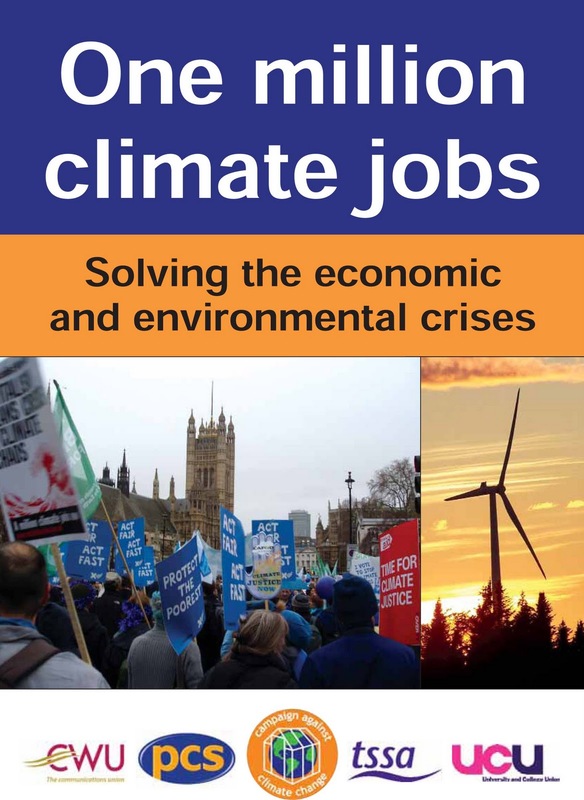 The Campaign Against Climate Change Trade Union Group (CaCCTU) has published a revised second edition of its “One million climate jobs” pamphlet. This is a response by a group of trade union and climate activists to challenge the multiple crises in a constructive way. 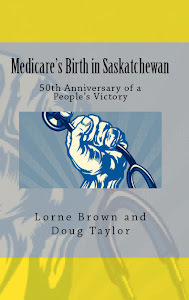 The pamphlet which is aimed at activists is backed by serious research. It is informative about the sources of greenhouse gas emissions and issues around renewable energy based on wind, wave, tide, and solar power. The campaign proposes creating a National Climate Service in Britain (NCS) which will hire one million public sector workers within 12 months in climate jobs producing renewable energy, renovating buildings, improving public transport infrastructure, industry, and education. The ultimate aim is to cut emissions by 80% in 20 years. 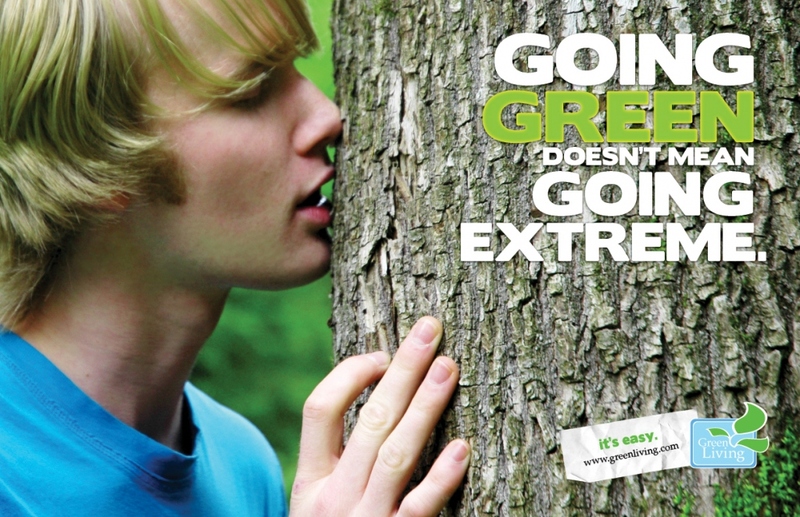 The action plan is dynamic and involves retraining the climate workers to convert Britain into a zero carbon economy. Hugo Blanco is a native of Cuzco in Peru. An indigenous Quechua, he took an active part in the Peruvian peasant farmers’ struggles for agrarian reform in the 1960s. In 1963 he participated in the defence of lands seized by peasants and was imprisoned for several years before being sent into his first exile. He returned to Peru in 1975 but fell foul of the military government of General Bermúdez and was once more sent into exile. After his return in 1978 he was elected to the constituent assembly and later to the Peruvian parliament during the 1980s. In the 1990s he was again forced to leave Peru, threatened by both the Shining Path, a Maoist guerrilla movement, and the government security services. 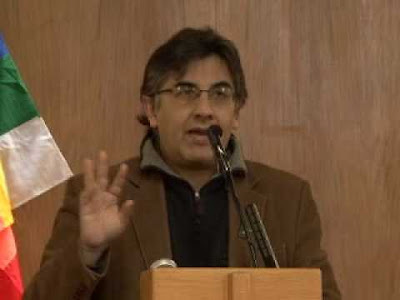 He has now returned to Peru and is currently editor of Lucha Indígena (Indigenous Struggle) a newspaper dedicated to the indigenous struggle across Latin America. How did you become politically conscious and active? 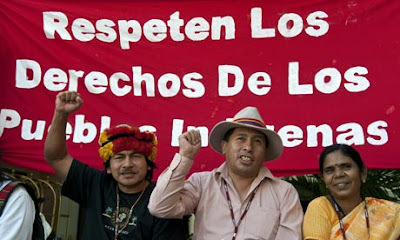 I am from Cuzco, and there you could always see the tremendous abuses carried out against the indigenous population. And the area always had a tradition of struggle. I remember a teacher at primary school taught us indigenous protest songs, and we also saw theatrical plays about past struggles. So I think it was natural to come to this. How are indigenous forms of organisation different to traditional left-wing forms of organisation? 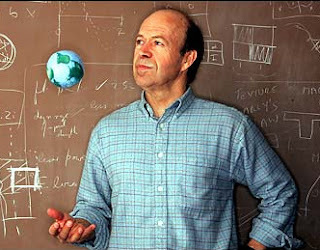 On October 16, MR editor John Bellamy Foster attended a lecture in Eugene, Oregon given by James Hansen, director of NASA’s Goddard Institute for Space Studies. Hansen is the leading U.S. climatologist and the world’s foremost voice for carbon emissions reductions. According to Hansen, we are facing two major tipping points associated with climate change: (1) ice sheet disintegration in Antarctica and Greenland, leading to a massive global sea level rise; and (2) a sudden acceleration in species extinction rates (already 100 to 1,000 times the preindustrial “background rate”), as climate zones begin to move much faster than species can move in response. Matters are further complicated by positive feedback mechanisms such as the rapidly melting Arctic Ocean ice (which reduces the earth’s reflectivity) and the release of methane, a very potent greenhouse gas, from the tundra. Such factors will accelerate global warming. 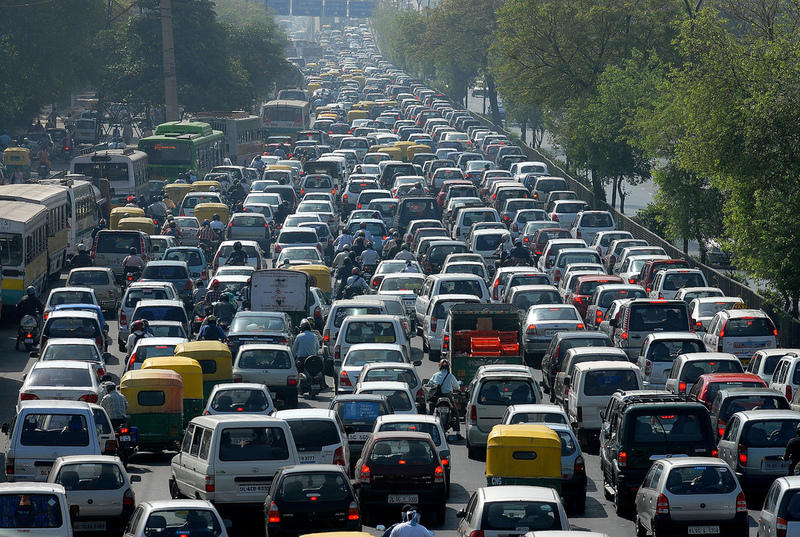 The car industry is a good example of the current many-sided crisis, or,better, its crystallisation point: for decades the industry has been characterised by enormous over-capacity – nevertheless western car manufacturers want to double production. At the same time, new and strong competitorsare emerging, especially in India and China. 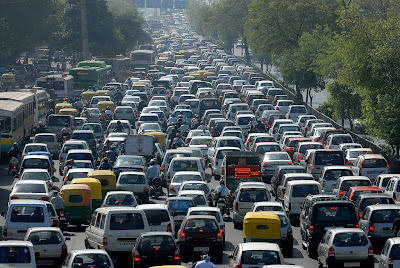 However, these emerging mar-kets are the hope of western car producers, and this despite what everybody knows: if countries like India or China reach the same level of automobilisation as in Europe or the US we are facing climate collapse – that is a differentkind of overproduction, independently of whether there is a real global economic “overproduction”. Andony Melathopoulos: In your estimation, did the recent BP disaster precipitate any new thinking from the Left? How could the Left’s responses be characterized and do they reveal anything about the state of the Left more generally? Did the disaster in any way change your thinking about oil? 30,000 natives fight for compensation against Texaco (now Chevron), accused of 3 decades of toxic dumping in Amazon. 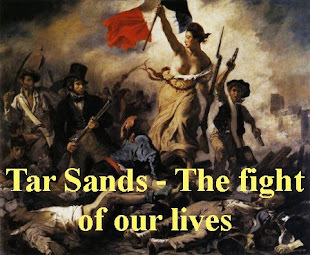 It is safe to assume that in modern political arenas, an approach to the climate change emergency through conventional directives will not work. Indeed, across every movement, from single payer health care to American wars and occupations abroad, the conventional has failed. And while we are very skilled at making excuses and providing analysis for some aspects of that failure, we are not very good at determining other, alternative mechanisms for change. The climate change movement is no exception to this reality. 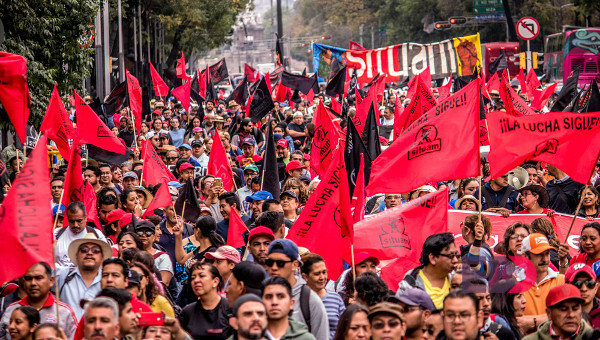 In the past decade, a wave of populist governments have come to power in Latin American in the aftermath of the crisis of neoliberalism. Here is an informative and well produced 8-minute video of the case of Paraguay. A spate of natural disasters in Southeast Asia has underscored how vulnerable the region is to climate change. While regional militaries are often called on to address the security ramifications, few pay attention to the impacts of climate change at the strategic, institutional and operational levels. FOLLOWING the recent “triple disaster” in Indonesia—the flooding in Papua, the tsunami that hit the Mentawai islands, and the volcanic eruption in Central Java—some are wondering whether climate change will increase the intensity and frequency of similar events in the region. The Singapore-based Economy and Environment Programme for Southeast Asia (a project under the International Development Research Centre of Canada), for instance, has shown that the Philippines, the Mekong River Delta in Vietnam, Cambodia, North and East Laos, the Bangkok region, as well as West and South Sumatra, West and East Java are all highly vulnerable to the impacts of climate change. 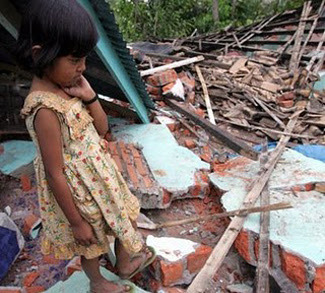 A 2008 issue of the journal Disaster Prevention and Management also noted that natural disasters in Southeast Asia had claimed the lives of nearly 343.000 people between 1900 and 2007 and costing economic damages up to USD 46 billion. These depictions alone however do not provide the entire picture of climate insecurities in Southeast Asia. But climate insecurities will likely impact regional defence forces in the long run through two inter-connected pathways. 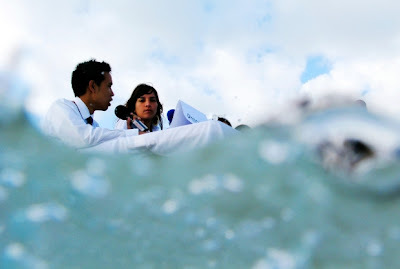 a staged news conference at a beach in Cancun. Climate change, environmental degradation, cancer, and dangerous drivers rounded out the top-five most common fears reported by Canadians in the study, commissioned by insurance company RSA.Photograph by: Jorge Silva, ReutersTrue to type, Canadians aren't fretting about natural disasters or terrorism or drug problems, instead naming the rising cost of living as their most common concern, according a study of seven countries released Monday. Climate change, environmental degradation, cancer, and dangerous drivers rounded out the top-five most common fears reported by Canadians in the study, commissioned by insurance company RSA. OTTAWA -- The Green Party of Canada today is cautioning that the MacKenzie Valley pipeline got a flashing yellow- not a green light from the National Energy Board (NEB) review and it will now be up to legislators how or if the project goes forward. 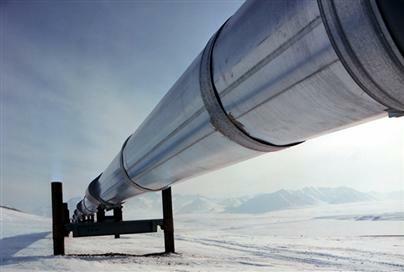 Imperial Oil is demanding even more government money than what it has already received before committing to begin construction of the pipeline by 2014. The latest assessment put the cost of the development at $16.2 billion, and its economic feasibility is already being questioned. "One of the most profitable companies on earth wants Canadian taxpayers to bail them out before they commit. 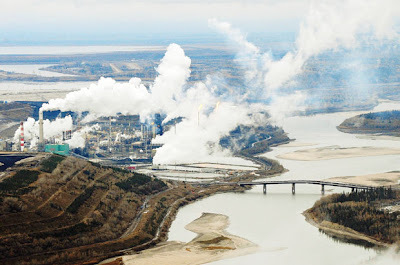 Greens are firm that the existing nearly $3 billion/year spent on subsidies to fossil fuels must end, and we strongly oppose any new ones," said Leader Elizabeth May. Two things are required to put the climate 'debate' in context - an awareness of the many lines of evidence that global warming is happening & that humans are the cause - and an understanding of the techniques used by climate skeptics to sow doubt and obscure the fully body of evidence (quick plug, both these themes are fleshed out in the free booklet, The Scientific Guide to Global Warming Skepticism). A must-read historical perspective is provided in Merchants of Doubt by Naomi Oreskes and Erik Conway, which shows that the same people who sowed doubt about climate science also used the same techniques (and even the same arguments) to sow doubt about the effects of smoking, ozone depletion and other impacts of industrial activity on the environment. Predictably, one of the Merchants of Doubt, Fred Singer, has come out attacking the book. Unsurprisingly, he has used the same obfuscating techniques in his attack. It's like watching the sequel to the book unfold in real time. 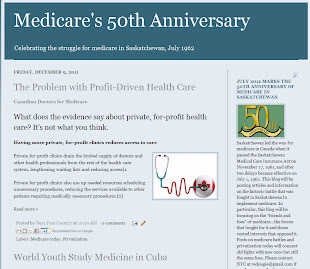 Oreskes' and Conway's science is as poor as their historical expertise. To cite just one example, their book blames lung cancer from cigarette smoking on the radioactive oxygen-15 isotope. They cannot explain, of course, how O-15 gets into cigarettes, or how it is created. They seem to be unaware that its half-life is only 122 seconds. In other words, they have no clue about the science, and apparently, they assume that the burning of tobacco creates isotopes -- a remarkable discovery worthy of alchemists. 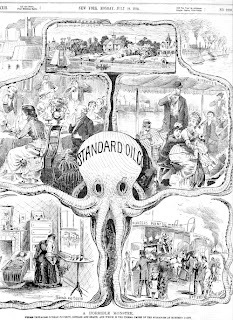 Ironically, the sentiments on oxygen isotopes actually come from Frederick Seitz, one of the original Merchants of Doubt. In no way does the book suggest the burning of tobacco creates oxygen-15 isotopes. 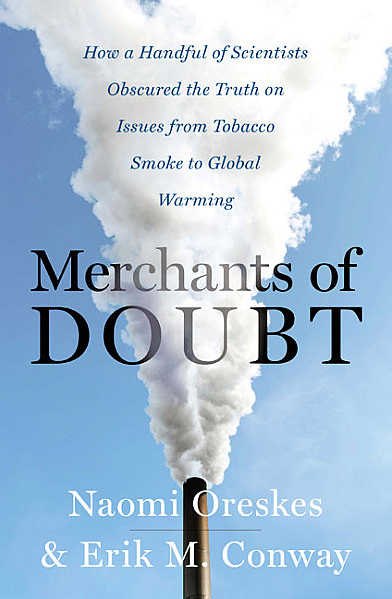 Fred Singer's attempt to discredit Merchants of Doubt only further reinforces the rhetorical techniques illuminated in the book. Singer attacks Oreskes' and Conways' understanding of the science by completely misrepresenting their understanding of the science. The eco-village of Vauban in Germany signposts one answer to climate change, reports Heather Rogers for Red Pepper. Over the past decade, an eco‑friendly marketplace has been unleashed across the west. Thanks to consumer demand, the organic food business has grown by double digits every year for the past 15 – waning only briefly in 2009 due to the recession. Automakers are turning out more gas-electric hybrids and full electrics than ever before; biofuel markets are escalating every year; and the global carbon trade is now worth over $30 billion annually. The promise implicit in these changes is that global warming can be stopped by swapping dirty products for green ones, with little disruption to daily life. Getting behind the wheel of a gas-electric hybrid is not so different from driving a regular car. Ethanol and biodiesel are the same as ordinary petrol. And paying a little extra for an airline ticket to cancel out CO2 emissions takes almost no effort at all. Sixty-five million years ago, an asteroid crashed into what is now the Yucatan Peninsula of Mexico and rendered extinct 70% of all life on Earth. 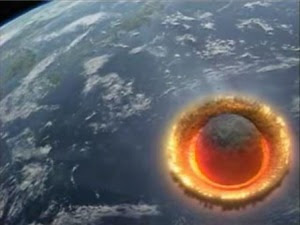 In December of 2010 in Cancun, a mere geological stone's throw from the Chicxulub crater that ended the reign of the dinosaurs, a conclave of political and corporate leaders presided over a conference that failed to slow down the next great extinction event on this planet. But for this geographic coincidence it's unlikely that this conference will be remembered as anything more than another tedious and predictable step towards a future of managed climate chaos and accelerated global enclosures. Cancun is most significant, though, not as the scene of a crime but as a laboratory of climate apartheid. Whatever fearsome predation the Yucatan of the late Cretaceous may have harbored, the Cancun of the early Anthropocene is the model of a naturalized social order even redder in tooth and claw. Even to use the language of "climate talks" is like speaking of the Israeli/Palestinian peace process. As linguist Noam Chomsky said years ago, the mere utterance of this phrase validates the discourse that there is such a process (as even The New York Times acknowledged on Nov. 21, 2010). Is China smartening up its environmental and social act in Africa? It certainly wants to be seen as doing just that. 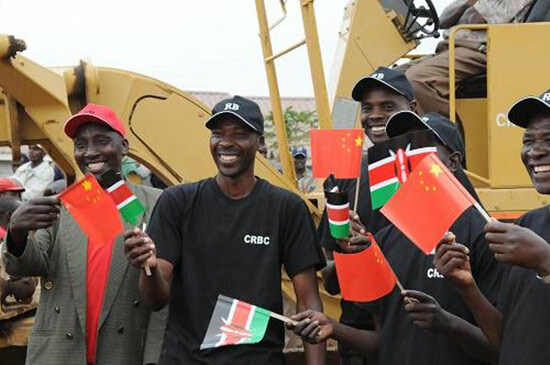 One telling example was the recent Chinese government-sponsored ‘top Chinese enterprises in Africa’ competition, won by China Road and Bridge Corporation [CRBC]. 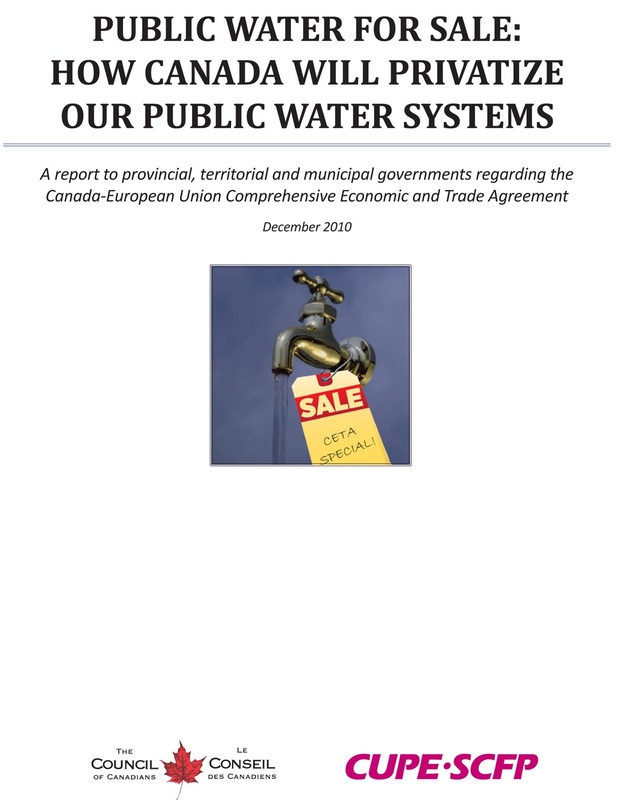 OTTAWA -- Canada’s already challenged public water systems are under threat from a broad free trade agreement being negotiated by Canada and the European Union (EU). 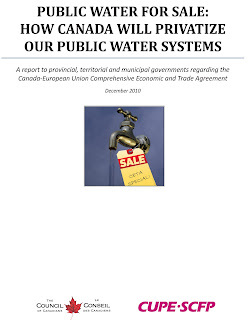 A new report released today, Public Water for Sale: How Canada will privatize our public water systems, warns that public water in Canada will be lost unless the provinces and territories take immediate steps to remove water from the scope of the proposed Canada-EU Comprehensive Economic and Trade Agreement (CETA). 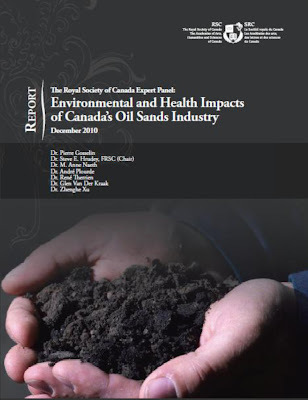 Canada's oil industry and Alberta's environment minister say a massive scientific report [see previous ESC article] taking stock the environmental and health effects of the oilsands is even-handed and will lead to improvements. However some members of First Nations communities in the oilsands region have taken issue with the Royal Society of Canada expert panel report, saying it drew conclusions about regional cancer rates using government and industry data -- without talking to the people of Fort Chipewyan or taking into account traditional knowledge. OTTAWA — An extensive review of Canada’s oil sands released on Wednesday rejected several claims from both the energy industry and environmentalists while accusing Canadian governments of inadequate oversight of the projects. 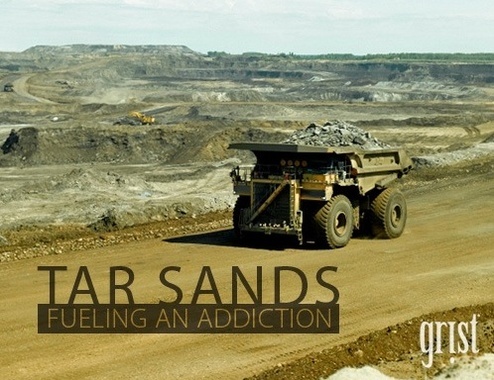 The deposits in northern Alberta of tarlike bitumen mixed with sand and other minerals have helped Canada become the largest supplier of imported oil to the United States. But the projects also use significant amounts of energy and water to dig up deposits and then transform the bitumen into synthetic crude oil while leaving behind large, toxic waste ponds. 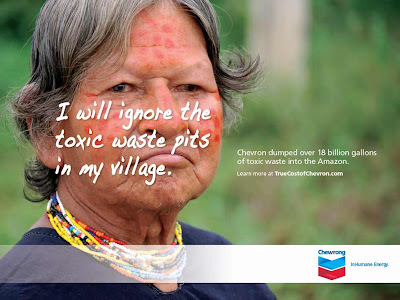 That has made the projects a target for environmentalists around the world. 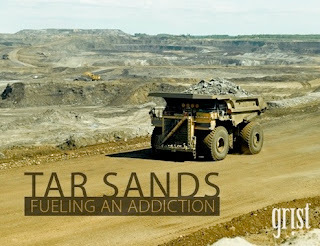 While the 438-page report published by the Royal Society of Canada found much to criticize in the oil sands, it also dismissed a common claim by environmentalists that the operations were the most environmentally destructive projects on earth. 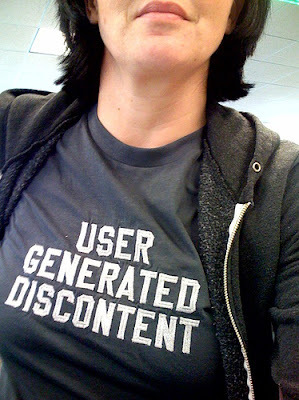 I’m quite pessimistic about the future. Some people would infer then that I won’t try to change the world, that my pessimism is a barrier to action. But this is a false contradiction. 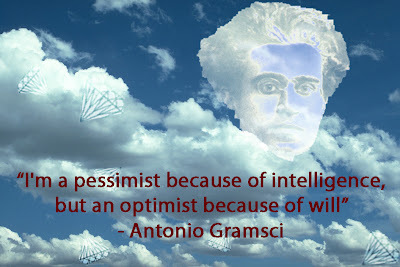 I rather follow Gramsci and ally the pessimism of the intellect with the optimism of the will. I can understand, though, that other people are much more optimistic than me. What I find hard to understand is how so many activists are capable of recognizing the urgence and gravity of the climate crisis on one hand (assuming they do), and be optimistic about the state of climate negotiations on the other. The Council of Canadians is denouncing the late-night climate deal struck in Cancun as hollow, undemocratic and a severe blow to the Kyoto Accord. "The global campaign for an effective climate protocol with binding and deep emission targets, a just administration and dispensation of climate funding, and a respect for the rights of nature is far from over," says Anil Naidoo of the Blue Planet Project. "We commend the vision and courage shown by Bolivia and some other smaller states during these United Nations climate talks, and we demand better from the Canadian government and other developed states who have a historical obligation to show leadership and instead failed miserably in Cancun," adds Naidoo. The Council asserts that the climate deal coming out of Cancun violated fundamental UN norms by not treating all states equally and fears this may jeopardize future negotiations and our collective ability to deal with the growing climate crisis. The organization also states that a climate deal that allows at least a 4 degree Celsius temperature increase condemns the world to an increasing number of climate fatalities, the vast majority in countries which bear no responsibility for the current crisis but will suffer even greater environmental harm. "We call upon Canadians to hold the Harper government accountable for its obstructionist and shameful role here in the sidelining of the Kyoto Protocol, and to protect our common future we will redouble our efforts to achieve a successful outcome at COP 17 in Durban next year," says Naidoo. Canada's conservative government, led by Stephen Harper, seems to be working hard to build up a reputation for irresponsibility in the international community. And they are succeeding: In October Canada failed to win a seat on UN's security council. Critics have cited Canada's foreign policy – including lack of action on climate change among other things - as the reason for this decrease in popularity and lost security council seat. Focusing on the criticism of climate change inaction, Canada's behavior has been shameful as of late on all things related to emissions reductions, fossil fuel exports, censorship of scientists, and science funding - going so far that the democracy of Canada's decision-making process has been called into question. The urgency of creating an ecologically sustainable form of human economy is plain. 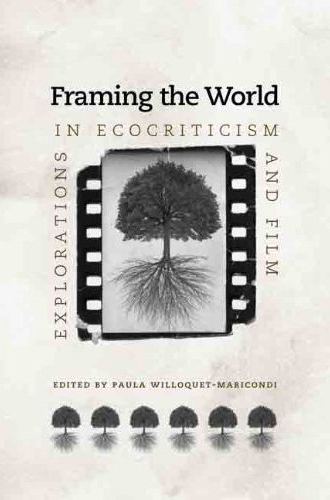 While Deep Ecology may appear to be a radical alternative, it fails to focus on the key question of material social relations, argues Dominic Alexander. The Gulf of Mexico oil spill brought together twin sources of our current ecological disaster: our relentless mining of the earth for the oil whose burning is heating the atmosphere, and the destruction of marine ecosystems. The oil that threatened to poison the whole ecology of the Gulf (and still may) was simply adding to the catastrophe of systematic over-fishing from factory ships. The latter has already led to the virtual extinction of the cod on the Grand Banks off Newfoundland. This was once a tremendously fruitful resource which may now never return. We can no longer afford the day-to-day depredations our economy wreaks upon ecological resources, while the terrifying potential of single disasters has been revealed. The urgency of creating an ecologically sustainable form of human economy is plain. 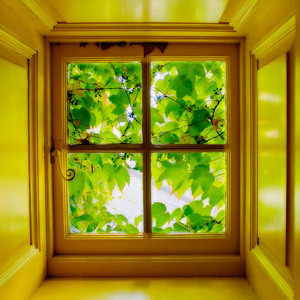 At the same time the economic crisis has given a greater weight to calls for green job creation. Derek Wall is an economics lecturer and writer. He has been a member of the Green Party since 1980 and was Green Party Principal Speaker from 2006 to 2007. 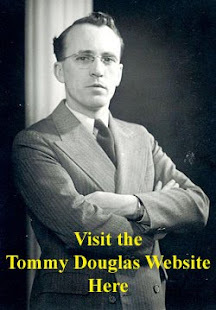 He is a founder of the Ecosocialist International and Green Left and maintains a blog here. NLP’s Edward Lewis interviewed him about his new book, The Rise of the Green Left: Inside the Worldwide Ecosocialist Movement. 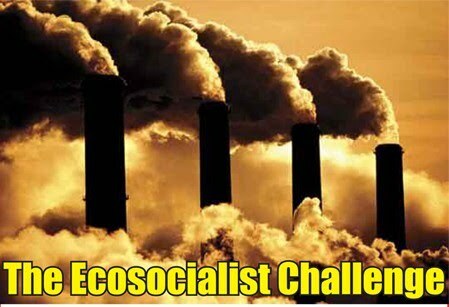 Please tell us what you mean by the term ‘ecosocialism’ and briefly sketch your vision of an ecosocialist society. An ecosocialist society would be ecologically sustainable, socially just and democratic (which includes being economically democratic). It’s important to have a vision. But its also important to recognise that struggle creates a different world. As Raymond Williams - who I think coined the term ‘ecosocialism’ - noted, utopias can be more compensatory than emancipatory. By this he meant that we can spend more time drawing our detailed vision of the future than working out how we get there. Frustrated by the difficulties of creating change, we can compensate by drawing a detailed map of the future we desire but find difficult to achieve. 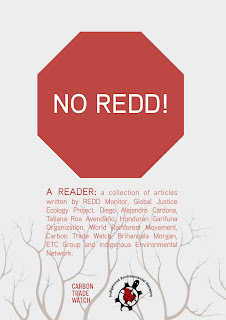 A report by Indigenous Environmental Network, Global Justice Ecology Project, World Rainforest Movement, ETC Group and Carbon Trade Watch exposes how REDD does nothing to solve the climate crisis and can severely aggravate social and environmental problems (link). The publication contains several case-studies showing the reality of REDD pilot programs and how it significantly departs from the rosy description given by the World Bank and other financial institutions. NO REDD! 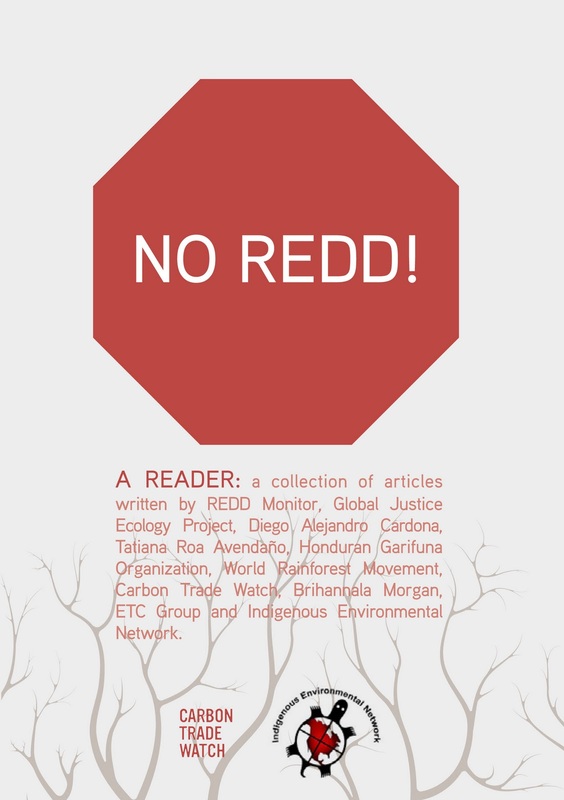 : A Reader - a collection of articles written by REDD Monitor, Global Justice Ecology Project, Diego Alejandro Cardona, Tatiana Roa Avendaño, Honduran Garifuna Organization, World Rainforest Movement, Carbon Trade Watch, Brihannala Morgan, ETC Group and Indigenous Environmental Network. La Paz - Bolivian President Evo Morales complained Saturday about the climate deal that was reached at the UN summit in Cancun, to which Bolivia objected, and vowed to keep up his fight for the environment. Left-wing populist Morales, Bolivia's first-ever president of indigenous descent, said the Cancun deal does nothing to preserve nature or humanity. 'A human being's temperature is 37 degrees. If it goes up to 40 degrees there is fever, and if it goes up further there are seizures. It is the same with the Earth. If temperature goes up too far it causes damage to the life of the planet and of humanity,' he said, according to Bolivian state news agency ABI. 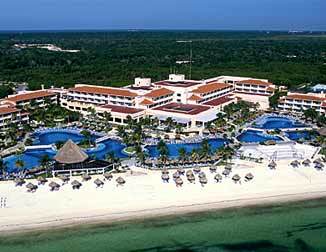 The compromise reached at Cancun includes a package of new measures to help poor countries combat warming. In order to reach a deal, Mexican Foreign Minister Patricia Espinoza ignored fierce objections by Bolivia, which said the compromise was too weak to confront global warming. Morales said Saturday that his country did not sign the deal because it will lead to the extinction of humanity. 'Although in Cancun, like in Copenhagen, they marginalize us and do not take into account our proposals to defend life, we will remain in the fight alone, together with the Bolivian people,' he said. 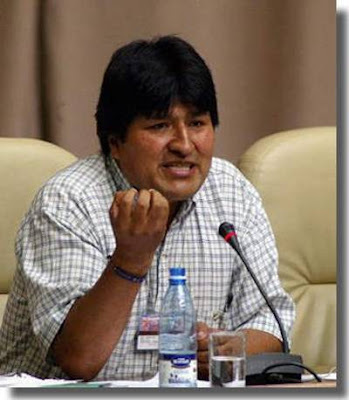 Morales noted that social movements around the world backed Bolivia's position, and that the small Andean country will work with them. 'The world cannot insist on irrational industrialization programmes which only provoke the extinction of the planet and of humanity,' he said. 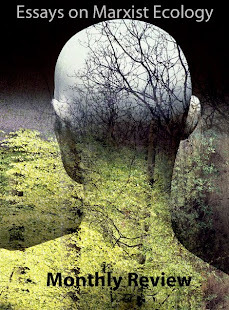 He stressed that human beings cannot live without Mother Earth although the planet can live on without humans. 'That is why the Earth's rights are more important than human rights,' he said. CANCÚN, Mexico, Dec 7, 2010 (Tierramérica) - The main cause of climate change is the burning of fossil fuels, so why are billions of dollars being invested to find and produce more oil, coal and natural gas? 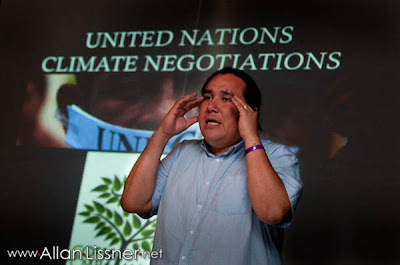 That is the question posed by Canadian indigenous representatives at the alternative civil society meet, Klimaforum, held parallel to the United Nations-sponsored climate summit under way in the Mexican resort city of Cancún. of Hurricane Ike. 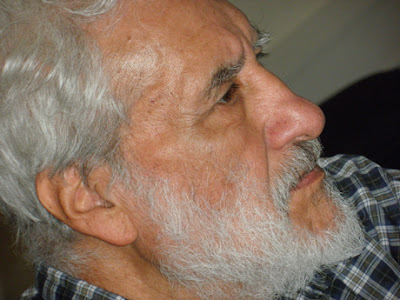 EPA/ALEJANDRO ERNESTO. WHILE Cuba is prepared for the significant climate change that is set to adversely impact the Caribbean, other countries in the region are said to be lagging behind in their preparation efforts. Dr Barbara Carby, director of the Disaster Risk Reduction Centre at the University of the West Indies, told a Gleaner Editors' Forum on Comprehensive Disaster Management for the Caribbean that these Caribbean islands need to prepare for the impact of climate change. 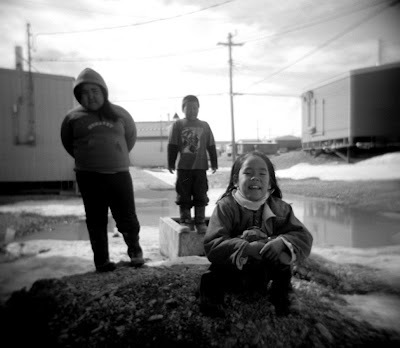 The committee released a report on the North Thursday that backs criticism recently levelled against the government by the federal environmental commissioner who found that Ottawa had done nothing to prepare Northern communities to deal with climate change. A century before the release of Rachel Carson’s Silent Spring, Marx and Engels were two of the harshest critics of capitalism’s destruction of the environment – yet little is known of their legacy. Many who see themselves as socialists today feel the need to don the label “eco-socialist”, implying that the environment is an issue ignored by Marx and needs to be added on. The truth is that many of Marx’s writings contain a strong environmental critique; his understanding of humans’ relationship to nature was a core feature of his analysis. 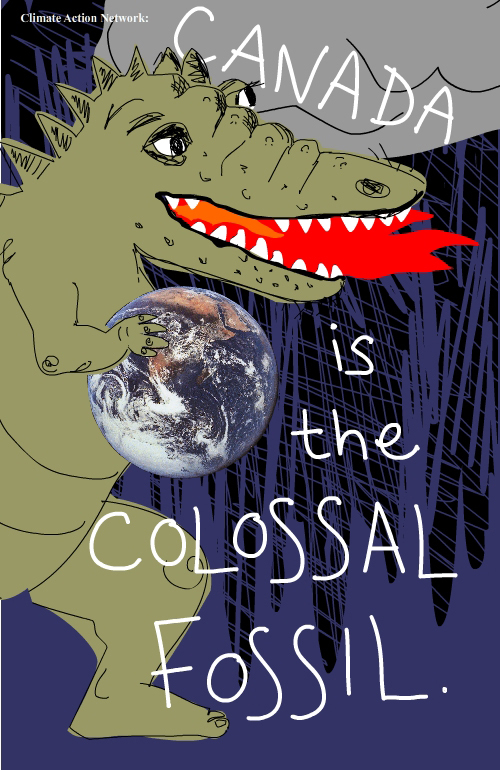 Marx’s starting point was seeing that humans, like all living things, have a dialectical relationship to the earth. 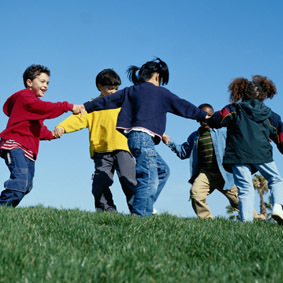 We come from and are affected by the natural environment, and in turn we impact on and shape the environment around us. Pablo Solón, Bolivia's Ambassador to the United Nations: To the Via Campesina protesters, to social movements, we can tell you: What you're doing is key because we, Bolivia, the ALBA countries, are not going to be able to change the reality of these negotiations if the people of the whole world don't raise their consciousness, don't mobilize, and don't organize to change the course of these negotiations in order to have an agreement to save the life of the world, of the people, and not to have a new "Cancúnhagen." Ottawa (9 Dec. 10) - Environment Minister John Baird has won another Fossil of the Day award for Canada – its fifth so far – at the United Nations (UN) climate change summit in Cancun, Mexico. Baird, who arrived at the talks this week, was given the latest award for existing in a fantasy world when it comes to real plans to fight climate change. The Fossil of the Day award is bestowed each day during the summit by representatives of more than 400 international organizations. It goes to the country that has done the most to disrupt or undermine the talks. 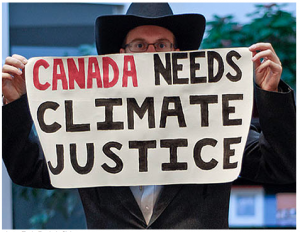 “It must be wonderful to live in the magical world of Canada’s Environment Minister. In that enchanted land, a press release is the same as a law and ‘polluting for up to 45 more years’ means the same thing as ‘banning dirty coal'," the citation says. More than 200 countries are represented at the talks. Baird's standard line on climate change is that there's no point agreeing to any new international protocol that would force industrial polluters to shut down in Canada only to have them open their doors in some other country. Prime Minister Stephen Harper has been long opposed to the Kyoto protocol of 1997 for its failure to include big polluting countries such as China. 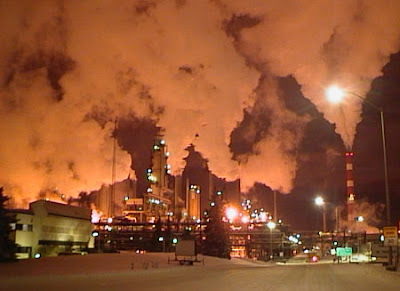 Canada is the only country to ratify Kyoto and then publicly renounce the 2012 emission targets it contains. US and Canadian UN COP16 observers and climate justice activists will demonstrate against their governments' position at the climate change conference by joining the Via Campesina and Espacio Mexicano marches and sit-ins throughout Cancun today, then gather at the Cancun Messe this afternoon at 4pm to deliver a specific message to US & Canadian delegates. 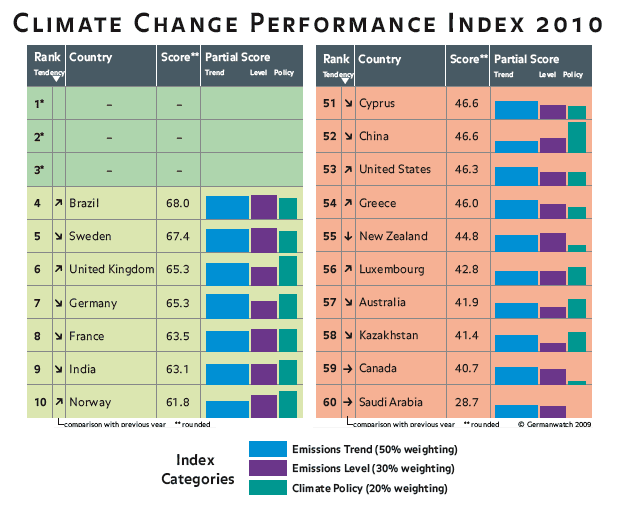 The top ten and bottom ten performing countries on the Climate Change Performance Index (CCPI), published annually by Germanwatch and CAN-Europe to rank the efforts to combat climate change of the 57 industrialized countries and emerging economies that together account for more than 90 per cent of global energy-related CO2 emissions. The ranking system factors in three scores: the emissions level (CO2 per primary energy unit, primary energy unit per GDP, and primary energy unit per capita); the emissions trend (whether emissions are rising or falling), and a subjective rating of the nation's national and international climate policy. Tall bars indicate a higher ranking, and thin bars represent a poor ranking. None of the 57 countries were doing enough to keep global warming below 2°C, so the top three spots on the list were left blank. Image credit: Germanwatch.org. Saudia Arabia, followed by Kazakhstan and Australia, respectively, are the worst performers in the sixth annual index released by the research organization Germanwatch at the United Nations' climate change conference in Cancun, Mexico. Half of each country's mark is based on its emissions trend over time, 30 per cent is based on current emissions levels, while 20 per cent is based on government policies. It's not clear whether Canada's greenhouse gas emission regulations for cars and light trucks are stringent enough to make a difference, says Matthew Bramley, director of the climate change program at the Pembina Institute. (Canadian Press)He said Canada's poor showing is the result of its high emissions in relation to its population and economy. He also blames domestic policies. "The federal government recently finalized its first greenhouse gas emission regulations, which apply to cars and light trucks," Bramley writes. "But it's not clear that the regulations are stringent enough to make a difference relative to what would have happened without them. Another critical example is Canada's continued lack of an emissions tax or cap-and-trade system that would put a price on emissions broadly in the economy." The world's two biggest emitters, China and the United States, have dropped a few ranks compared to last year, with China now ranking 53rd and the U.S. 51st. "China has recently started improving its national climate policies, including legislation on renewable energy, which has already made it the world leader in wind energy investments," Matthias Duwe, director at CAN Europe, said in a release. "This represents a trend toward strong national climate policy that we have seen throughout the CCPI this year." But since the index gives more weight to emissions than policy, China's ranking was lowered from last year. The index's authors expressed hope that improvement of China's national climate policy would lower its emissions trend in the future and raise its ranking accordingly. Germanwatch said the United States' lower ranking is the result of the Senate's blockage of climate legislation, and a poor performance on per-capita emissions and climate policy. 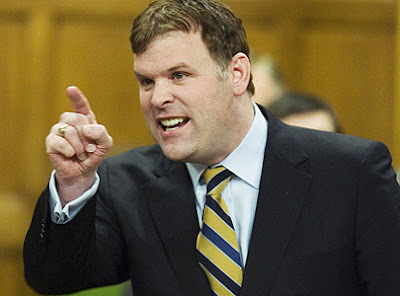 The Globe and Mail reports this morning that, "Federal Environment Minister John Baird arrives at the global climate summit (tomorrow) looking to administer last rites to the Kyoto Protocol, at least in its current form. But the funeral may have to wait for next year's session in South Africa." "For Prime Minister Stephen Harper, the end of Canada's commitment to Kyoto would achieve a long-standing goal, as he has opposed the accord since its inception in 1997 and distanced his government from it since taking office five years ago." We would like, first of all, to emphasize the great effort put forth on the part of Margaret in presenting us this text, which we will study very carefully. We would like to express in a preliminary manner that, nonetheless, we lament the fact that the imbalances in the earlier text have not been overcome in this second version. Very quickly, some examples of what we mean: in this text, two degrees Celsius is still considered as an option, when clearly, various parties have proposed 1.5 and 1 degrees Celsius. We do not understand why this option continues to be chosen without first moving to a process of negotiation. At COP 16 this week, the tone has been tense and difficult, both inside the negotiations at Cancun’s opulent Moon Palace, and on the margins where social movements, NGO’s, and indigenous peoples’ groups have gathered to raise their voices in opposition to the increasingly crushing decisions of global elites. 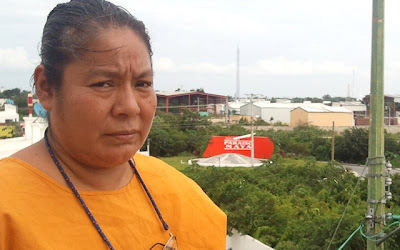 After last year’s fractious meeting in Copenhagen, and with echoes of the 2003 rout of the WTO here still lingering, Cancun at the beginning of the week was an armed encampment. 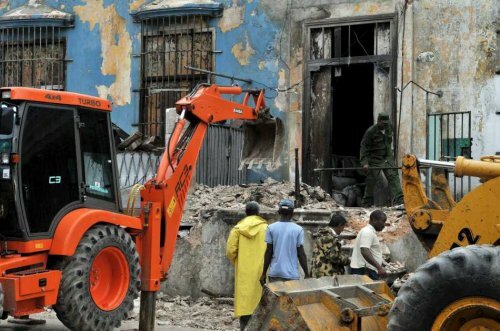 Between the armored vehicles patrolling the outside and the labyrinthine and exhausting process to get anywhere near the inside, a clear attempt has been made to marginalize civil society, if not to neutralize it altogether. The title of an article in Mexico’s La Jornada newspaper last week summed up the mood well in a play on the literal meaning of the name given to this artificial Caribbean paradise: Cancun is indeed a nest of snakes. The UN climate negotiations are weighted heavily against the poorest countries, who cannot send delegates to key meetings, often do not understand what is being said and are unable keep up with the decisions being taken in their name, a report by an NGO that promotes fairness in the negotiations has found. While rich countries have sent more than 150 delegates each to Cancún, more than half of the countries in the world have fewer than five representatives, with 26 countries having only one or two. For every 100m people living in Africa there are three negotiators - the equivalent figure for the EU is 6.4. THE HEAT IS ON...At this crucial point in the history of the Earth and its people, what hope and what visions could we have for a just, sustainable future? 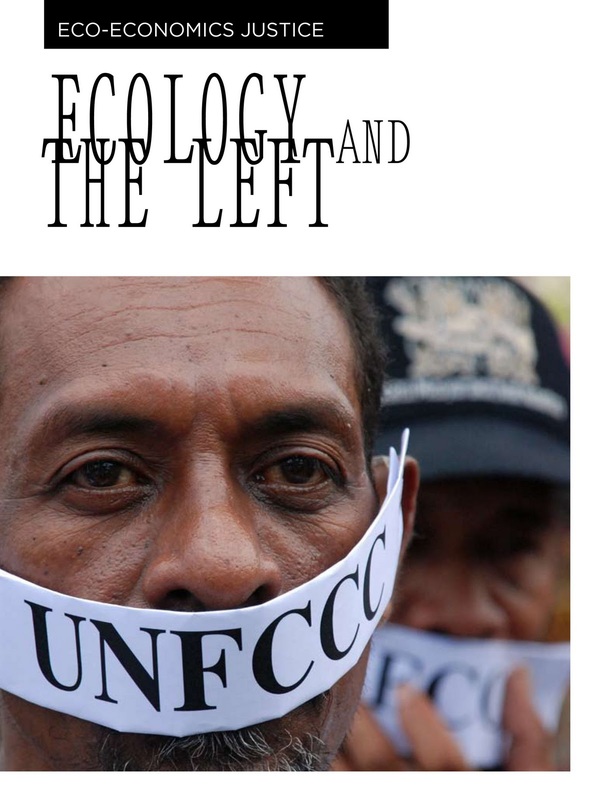 Gopal Dayaneni and Mateo Nube lay down a framework for action that ties together racial, economic, and ecological justice. Embattled oil company BP is under fire once again for giving the green light to “Sunrise” – its first extraction project in the controversial Canadian Tar Sands . The project, which is estimated to contain 3 billion barrels of oil, was put on hold several times due to financial doubts and public concern, but was given the go-ahead on Monday. Now BP and its partner Husky Energy face opposition from local First Nations concerned about the impact of the project on their health, water supply, food and traditions. There is also significant opposition to the project in BP’s native UK, from environmentalists, climate activists, artists and shareholders .